Adapt or GTFO: The OED adds 400 new Internet terms. The times, they are a-changing. As such, the dictionary must change too, or risk being left behind to mollycoddle deceased words like aviatrix. 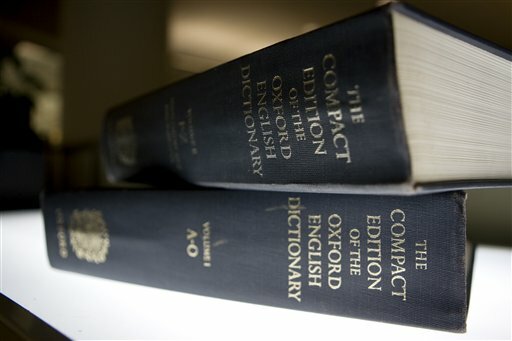 Sexting, retweet, woot, and 400 other technology-based words are being added to the Concise Oxford English Dictionary. This is the 100th edition of the Concise OED, which now has over 240,000 words. That doesn’t sound concise to me, but it pales in comparison to the room-stuffing 20-volume standard edition of the OED. I’m a bit meh on adding sexting to the dictionary, since it’s just a portmanteau of two existing words. However, I am pro the addition of retweet (since it’s a new concept) and I am super-excited that woot is now an official word. Took you guys long enough to get with the times!